This is where I am today, continuing our short European trip that started in London earlier this week, and will end in Austria mid April. No time for long posts. 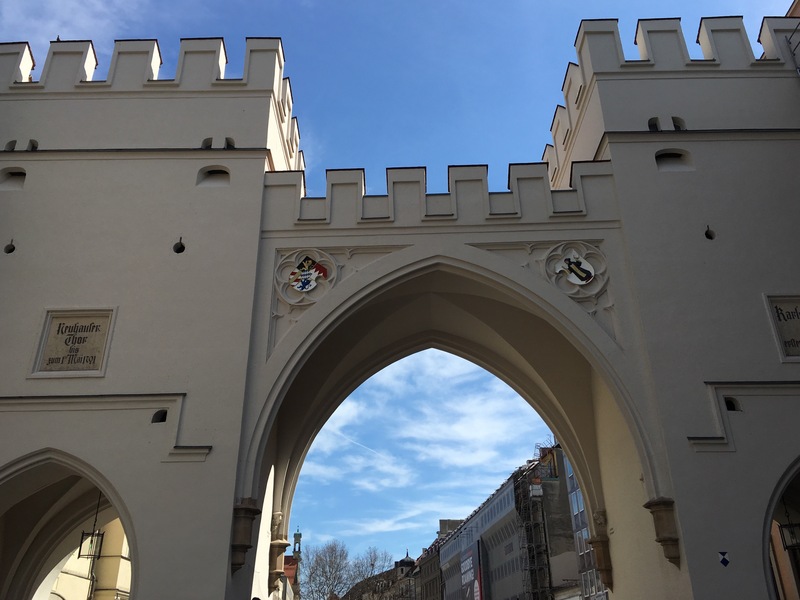 This is an iPhone photo of the Kalstor, which was the western gateway to the old city of Munich. Loving this city! Walt Disney Concert Hall architect, Frank Gehry, designed this rose-shaped fountain made of Delft porcelain to be placed in the garden dedicated to the building’s patron, Lily Disney. For Weekly Photo challenge: Dance, a Mexican indigenous dance, performed on a street of the old historic district in Downtown Los Angeles.